Ahead of the 2019 general elections, General Overseer and Founder of Christ Mercy Land Deliverance Ministry, Effurun, Delta State, Prophet Jeremiah Omoto Fufeyin, has emphasized on the need for men of God to be mindful of the political prophecies they make. 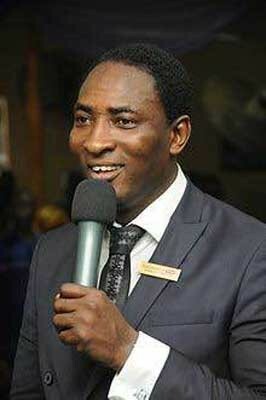 Speaking with Sunday Vanguard in Delta State, the prophet said some men of God were fond of giving failed prophecies. “This is a warning to all prophets and pastors who like to prophesy. Many have prophesied and many have failed. When making political prophecies, men of God have to be very careful so that they will not put their grace into shame or disgrace. If you prophesy into the life of a woman or man who is contesting for a political office, you need to continue praying about it until it comes to reality”, Fufeyin stated. According to him, when it comes to prophecies, God has the final say and it can favour anyone at any time. “God, in His mercy, decides whatever He gives to His children. A prophecy can raise a man in a second and a prophecy can bring a man down in the next second. Since man doesn’t understand the ways of God, pastors or prophets must be very careful when making political prophecies. God can change His mind to favour anyone at any time; He has the final say,” he said.